In its first edition, Soils established itself as the leading textbook in the fields of pedology and soil geomorphology. Expanded and fully updated, this second edition maintains its highly organized and readable style. Suitable as a textbook and a research-grade reference, the book's introductory chapters in soil morphology, mineralogy, chemistry, physics and organisms prepare the reader for the more advanced treatment that follows. 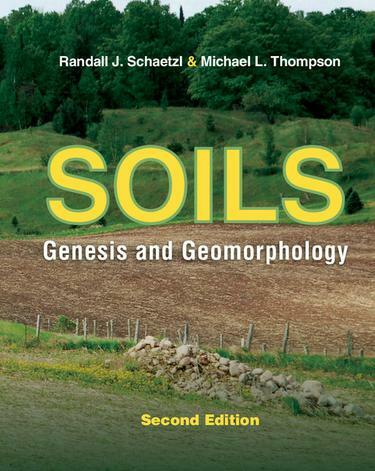 Unlike its competitors, this textbook devotes considerable space to discussions of soil parent materials and soil mixing, along with dating and paleoenvironmental reconstruction techniques applicable to soils. Although introductions to widely used soil classification systems are included, theory and processes of soil genesis and geomorphology form the backbone of the book. Replete with more than 550 high-quality figures and photos and a detailed glossary, this book will be invaluable for anyone studying soils, landforms and landscape change anywhere on the globe.